*I received coupons for Ore-Ida products from Influenster. All opinions and gluttonous family members are my own. "What the heck is a totcho?" That was the question my family asked when I announced that we would be having Family Fun Night complete with totchos. 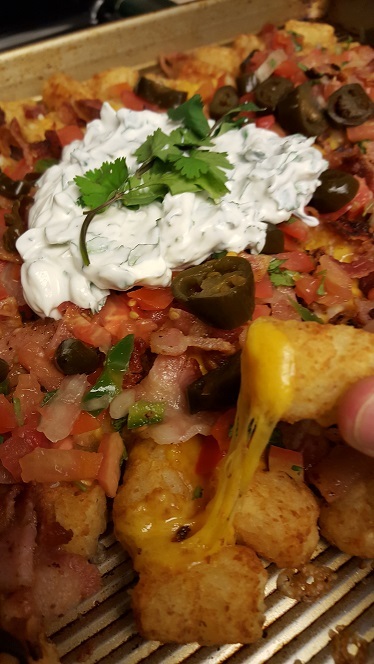 Totchos are nachos but instead of tortilla chips, you use tater tots. Could there be anything better? I gave my people a choice between breakfast totchos, chili cheese totchos, and bacon and cheddar totchos. Really, I didn't need to ask them. I knew that as soon as they heard the word "bacon" they would pipe up. I was right. If you want to try totchos for yourself (and you'll want to, I promise) you can try my recipe below or one of the ones from the Kraft Recipes Totcho Hub. 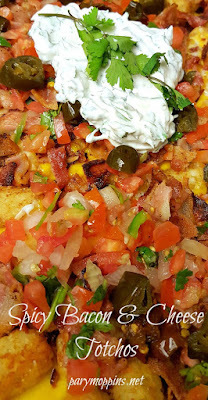 One great thing about totchos is that they are a perfect vehicle for leftovers. 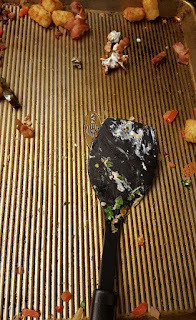 Leftover ratatouille? Fab! Cook the tots, throw over the ratatouille and cover with mozzarella. Leftover chili or beans? Perfect! Cook the tots, pour over the chili or beans, and cover with pepper jack cheese. Leftover ham? Awesome! 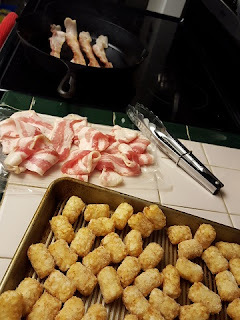 Cook the tots, place the ham over the tots, and top with Gruyere cheese. 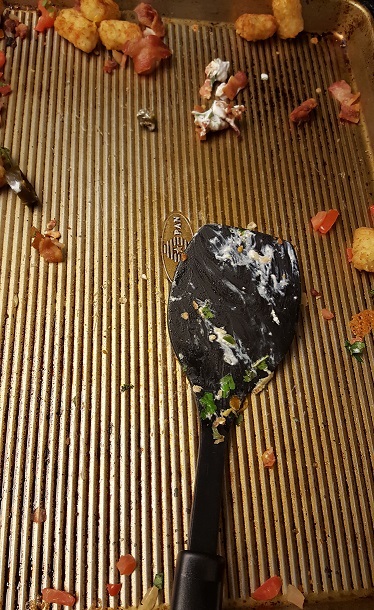 The possibilities are endless and the clean-up is a breeze too! Love those one pan meals. Cook tots according to package directions. While tots are cooking, fry bacon. Drain fat and set aside. Mix sour cream and cilantro. Set aside. Once tots are done, turn off oven. Take tots from oven and push them to make a pile in the middle of the baking sheet. Sprinkle over cheese and place back in the oven with the oven off and the oven door shut. After about 5 minutes, take cheesy tots from oven and crumble bacon over the top. Spread pico over as well as the jalapenos. Top with sour cream mixture. Oh yeah, like cheddar fries but with tots instead! Potatoes are pretty much my love language, so these sounds amazingly good! Your Totchos look awesome, we would love this idea and recipe! Hope you are having a great day and thanks so much for sharing with Full Plate Thursday.